Spence's Auction & Flea Market. 550 S. New Street. Market opens at 8 am and runs until dark. Ample parking. Approximately 100 dealers. Open year round. New merchandise, used merchandise, antiques, collectibles, crafts. Snack bar, restrooms, h/a. 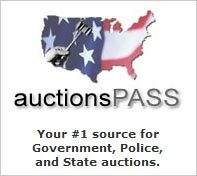 Auctions on Tuesday & Friday's. Space from $15. for 3 tables. c/p Gregory Spence, Box 338. 19901. (302) 734-3441. Bargain Bill's Flea Market. U.S. 13 Dual Highway and 9. Hours 6am-5pm. Free adm. Ample parking for bus's and rv's. Average daily atten 8,000. Approximately 200 dealers. Wide range of merchandise. Antiques, collectibles, new merchandise, used merchandise, tools, secondhand items. Nice restaurant, camping. Restrooms, h/a. This is one of the area's more interesting markets. Space from $15. Indoor market open all year and outdoors when weather permits. c/p Leslie Brown, Rt. 4, Box 547. 19956. (302) 875-9958 or 875-2478. Fax: (302) 875-1830. Outlet Market. Route's 13 and 462. Hours 9am-7pm. Ample parking. Indoor market 74,000 sq ft building with approximately 100 dealers. Average daily attendance 8,000. Market is primarily new merchandise that is severely discounted. Great stock-up market on all types of personal and household goods along with a lot of business supplies and equipment. Good restaurants on the premises. Restrooms, h/a. Space from $50. per weekend. c/p R. J. Shingleton, Box 32, 19956. (302) 875-4800. New Castle Farmers Flea Market. Hares Corner at Route's 13 and 273. I-95, Exit 5. Hours 10am-6pm. Average daily attendance 15,000. 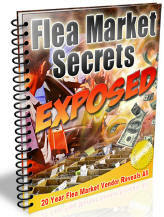 Indoor and outdoor market with approximately 100 dealers. Convenience store on premises. Camping nearby. Market is restricted to used and second hand merchandise. Market is one of the east coast's better and more interesting markets. Good selection of quality country and Pennsylvania Dutch food and merchandise here. Space from $12. to $15. c/p Manager, 110 N. Dupont Hwy, 19720. (302) 328-4102. Fax (302) 328-9525. Outside flea market is closed from Thanksgiving until spring. Inside store is open daily during the winter.